When we met Antonio on a small country road just on the edge of one of his olive groves we immediately took stock of the surroundings –rolling green fields everywhere, a light summer’s breeze in the air and the mountain ranges casting shadows in the distance. 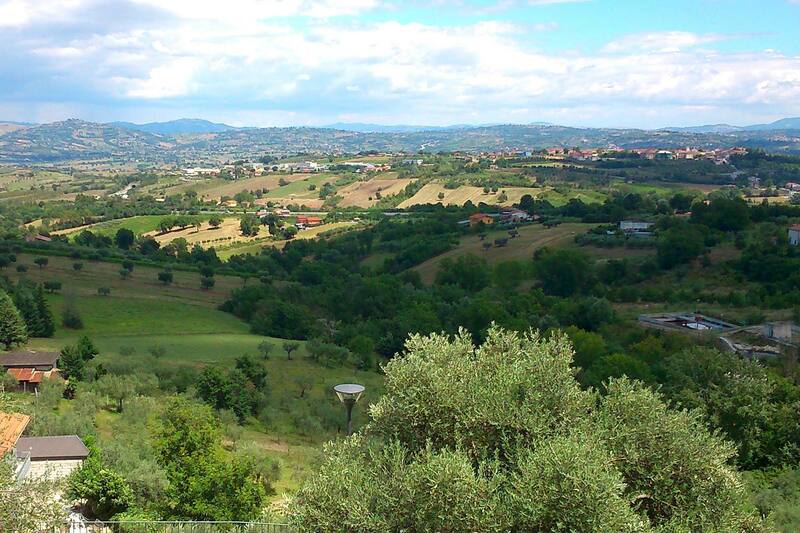 Welcome to the Italian countryside! And what a pleasure it was to visit such a place. Antonio and his olive oil come from a small village called Venticano (population just over 2.5k) where there is a real community spirit and everyone knows every by name. We witnessed this first hand when Antonio was driving along the winding country lanes, waving and acknowledging everyone. Venticano is a quaint small town with a few shops and lovely church, characterised by the gentle rolling hills all around. Conditions here in southern Italy are perfect for olive groves to flourish with the rich soils, protected fields and temperate climate. Venticano is located in Campania, the most densely populated region of Italy and second in terms of actual people, hosting almost 6M. The capital of Campania is Naples (or Napoli – population just over 1M) which is located 90km from Venticano – the two are worlds apart! Naples is all hustle and bustle, cars and mopeds everywhere, lots of noise and very vibrant. It is also the gateway to the island of Capri, the Amalfi coast and the ancient Roman city of Pompeii. Mount Vesuvius lies only 10km east of Naples and is the only volcano in mainland Europe to have erupted in the last century, nothing to sniffed at when you can consider it is the most densely populated volcanic area in the world with over 3M in the environs! But once you leave the city limits of Naples, slowly waving goodbye to Vesuvius behind you, go through the mountain passes and come out on the other side of the valley, you arrive in the tranquil setting of Venticano. It truly is a wonderful place to spend a few days relaxing and getting away from it all. Swooping valleys, rolling hills, fresh air on tap – no wonder Antonio looks so relaxed – and his olive oil tastes great!